Drawing not only on my journalist experience, but also from one of the key themes from my novel-series, it was fun distilling this information down to a few bullet points that will help others who are creating a speaking career. So in the old paradigm, driven by the bottom line, information was presented as proven and practical. But in the new one, we hear words like synergy, synchronicity, and possibility. The basic concept is that you have to change your thought-framework first, then take a look at things from your newfound perspective. Information is presented as experiential and transformative. Liora’s core purpose for WSA? “I’m a maverick. I’ve never have colored inside the lines. So first, I wanted WSA to be at the forefront of defining a new paradigm; and to do that, I wanted it to be a global gathering place for women speakers so we can mentor and progress.” Already, this brand-new organization is hitting goals way beyond “reasonable” expectation. “We had our soft launch in January 2011. By our second week, we were getting hits from seven continents. Now, eight months out, according to Google statistics, out of 123,000,000 results, we hold the number 1,2,3,5 spots. And this is without SEO (Search Engine Optimization). This is all word of mouth.” This, too, is no surprise—word of mouth if how women tend to communicate, even if we use to internet to do it. If the “curtain” is our old sense of who we’re supposed to be as we present ourselves to the world, then what a wonderful time this is to draw aside that which hides ourselves from ourselves. Can a speaker dare to be that vulnerable as she stands on a global stage like the Women’s Speakers Association? In this new paradigm that is both challenging and nurturing, the answer is a resounding yes. The French word for heart is “coeur,” the root for the word “courage.” This is the new kind of courage, that comes from what the heart knows. to have my newsletter sent to your mailbox every month. 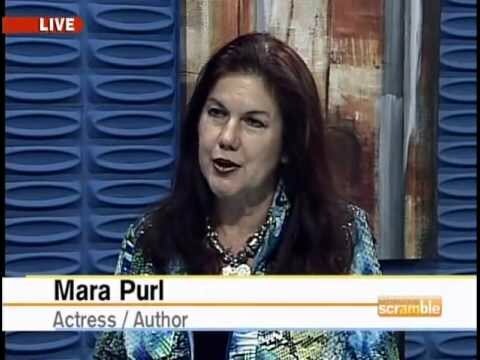 This entry was posted in Art and Entertainment, Author Mara Purl on Blog Tour, authors and entertainment world, Authors and Publishers Services, Baby Boomer women, Bellekeep Books, Bellekeep Books by Mara Purl, Blog tour of author Mara Purl, Blog Tours, book marketing using websites enewsletters and blogs, Books, Business, careers, Collaboration with other writers, Connecting through blogs, Connecting through books, Creativity, Current Event, E-Books, e-books by Mara Purl, energy, flow of life, head and heart connection, head and heart connection, Heart, Heart and head connection in books, history, Innovative marketing, Innovative marketing, inspiring through fiction novels, Intuition, Mara Purl, Mara Purl, Mara Purl Romance novels, Mara Purl using new marketing methods for Books, Marketing, Milford Haven, Milford-Haven Novels & Stories, mission and core purpose in life, new methods of marketing books, Novel series, Novels for Romance Junkies, Nurturing the soul, Power of the universe, power of the universe, Publishing, Re-Build your Life, relationships, Romance Novels by Mara Purl, Romance Novels by Mara Purl, Romantic fiction, romantic novel storylines, Science, self-growth, Small Town Fiction, Soap Opera Fiction, sychronicity of life, synchronicity, synchronicity, Transformation, Uncategorized, Virtual Book Tours, Virtual Book Tours, voice performance, What the Heart Knows, When Hummers Dream by Mara Purl, women and romance novels, Women and Romance Novels, Women's Fiction, womens literature, Writing, writing romance novels and tagged a speakers platform, changing thought framework, coeur means courage, heart and connection to God, Internet communication, kindred souls in women, Mara Purl on Women Speakers Association blog, novel series by Mara Purl, SEO, synergy between women, synronicity, transformational and experiential thinking, women connecting, women connecting and not competing, Women Speaker Association, womens f, WSA, WSA Gathering of Women. Bookmark the permalink.